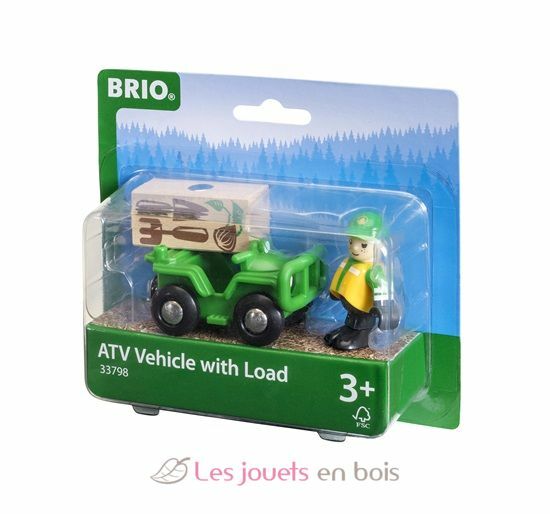 ATV with Load made by Brio, item number 33798. Jump up in your four-wheeler and take a ride to check the loading of lumber at the lumber station. 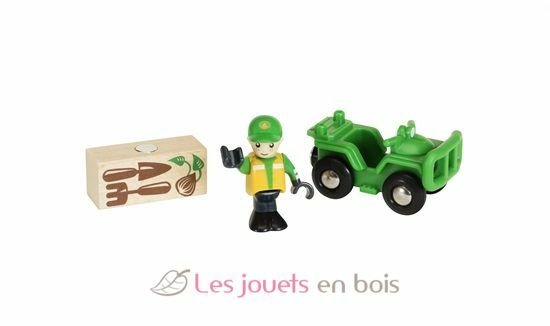 Put the wooden magnetic box with replanting equipment on the back of the four-wheeler and go out in the forest to plant new trees. That is the way to take care of nature.